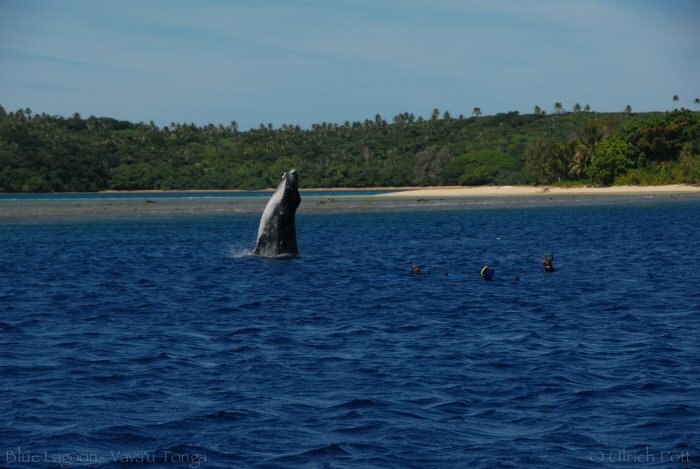 Blue Lagoon Resort is the ideal location to swim with the whales because we are situated in the heart of the whale activity in Vava'u. 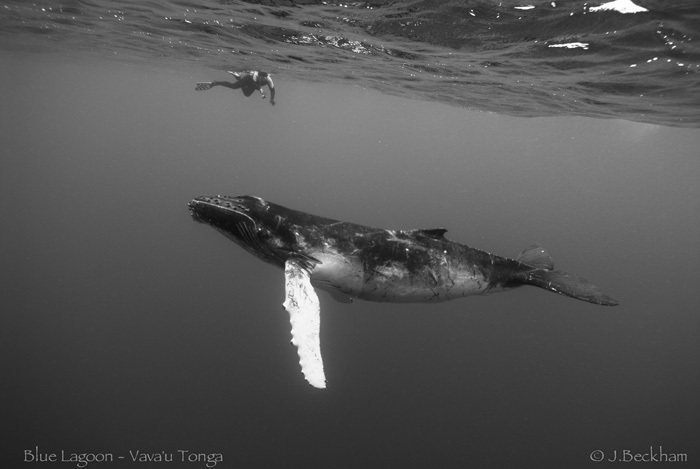 From July to November, Humpback whales visit Tonga and we are one of a few places in the world where you can swim with these amazing whales. Whales can be seen breaching and swimming around Blue Lagoon Resort and on occasion come into our lagoon. Whale swimming is available exclusively to guests and is normally only a 5-10 minute boat ride to see them close up and personal. We also specialise in photographic tours. Private, family and group whale swim tours are available exclusively only to guests and limited to four per boat. in Tonga offering this service without having to charter your own boat. The cost is $TOP400.00 per person, per day. 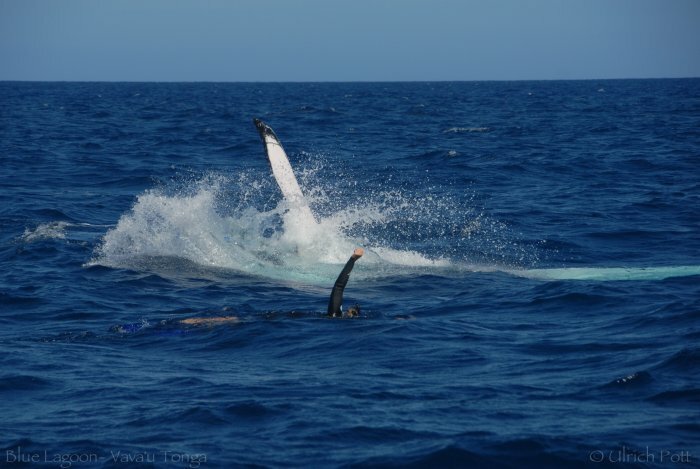 We also offer all-inclusive whale watching & whale swim packages, click here for more info. Limited to ONLY 4 people! - 6 hours on the water (Private/family bookings exempt). We have professional snorkel gear and wetsuits available or if you prefer, feel free to bring your own.